Christy Winters Scott was a four-year letter winner for the University of Maryland Terrapins from 1986 to 1990. In 1989, she was an integral part of Maryland winning its eighth Atlantic Coast Conference championship and reach its third Final Four. As a senior, Winters Scott was a first team All-Atlantic Coast Conference player, ACC All Tournament player, and Kodak All American, All-East Region selection as she led the Terps in scoring with 533 points (17.8 ppg). In November, 2002, Winters Scott was named to the ACC's Fiftieth Anniversary team. Winters Scott has an extensive coaching background, having coach at various local universities such Maryland, Georgetown and George Mason for 10 years. She handled the recruiting efforts, and was responsible for on court practice preparation for the post players, film breakdown, and scouting reports. She and her husband Jerome Scott, Sr. welcomed their first child, a son, to the world on Dec. 29, 2001, their second child, a daughter, on September 30, 2003, and their third child, a son, on February 6, 2007. She enjoys long walks, annual summer lake house vacations, and lively recreation room dances with her family. Winters Scott earned her degree in communications and has done broadcasting work for the former Home Team Sports, (now Comcast Sports Net), and hosted a segment of "Jam Session" for the weekly Washington Wizards program that was syndicated on NBC. For the last fifteen years, she has co-produced and co-hosted "The Roundball Report" on CTV-76 in Prince Georges County, MD, which highlights the exploits of the high school, college, and professional basketball teams which play in the Washington metropolitan area. In the summer of 2005, South Lakes High School, her alma mater, offered her the Head Coaching position for the Girls Varsity Basketball Team which she accepted. In seven seasons at the helm, the team has made a complete turnaround. The 2011-12 season saw the young Seahawks, (16-9), qualifing for the Regional tournament for the third time in the last 4 seasons. In the season prior to her arrival as Head Coach, the Varsity team was 0-21. During the 2008-2009 season, South Lakes was 19-4, and Winters Scott was named the Liberty District Coach of the Year. In February 2006, she accepted a position with Comcast SportsNet to be an analyst for the Washington Wizards Post Game Live show, as well as an NCAA Women's Basketball analyst. During March Madness, 2006 to 2009, Winters Scott was a Women's Basketball color analyst for Westwood One/CBS radio for the Bridgeport, Connecticut Regional Final, and the Greensboro Regional Finals respectively. For the 2006 WNBA season, she served as the Washington Mystics color analyst on Comcast Sports Net. From October, 2010-present, Winters Scott is serving as a color analyst for Comcast Sports Net, Fox Sports, and Raycom, and covered ACC, Conference USA, and CAA Women's Basketball games. From October 2011 to present, she is serving as a color analyst for ESPN for ACC, SEC, Big East, NEC, and MEAC Women's Basketball games. In 2007, she served as the Play by Play and color analyst for the Washington Mystics on AM radio 1260, as well as serving as the Mystics halftime interview hostess during home contests. Winters Scott was also in the same role for the 2008 season in addition to serving as the color analyst for the Washington Mystics on Comcast Sports Net. 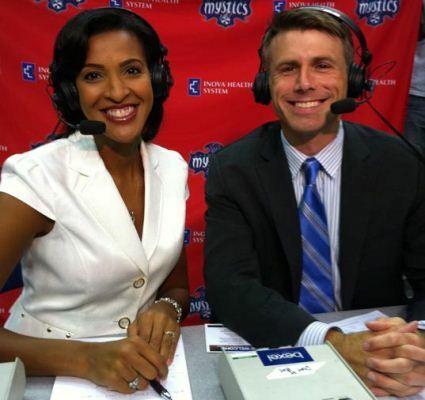 Durng the 2009 season, she was the color analyst for the Mystics on WNBA Live Access, as well as the co-hostess for the Mystics Corner Game Day show on WashingtonMystics.com. During the summer of 2010, Winters Scott was again the color analyst for the Washington Mystics on Comcast Sports Net, as well as WNBA Live Access. In January, 2010, Christy was also named the Washington Wizards and Mystics Camps and Clinics Director. Winters Scott once again served as the color analyst for the Washington Mystics on Comcast Sports Net, and WNBA Live Access, during the 2011 season. During the spring of 2012, Christy expanded her role with the Washington Wizards Pre and Post Game shows, by serving as the in studio host on Comcast Sports Net. In November of 2006, Winters Scott was inducted into the University of Maryland's Athletic Hall of Fame, and in May of 2006, she was inducted into the first class of the South Lakes High School Hall of Fame along with the Phoenix Suns Grant Hill. During his induction speech, Hill said, "It feels good to be recognized as the male Christy Winters." During the 2010 ACC Women's Basketball Tournament, Winters Scott was named an ACC Women's Basketball Legend. 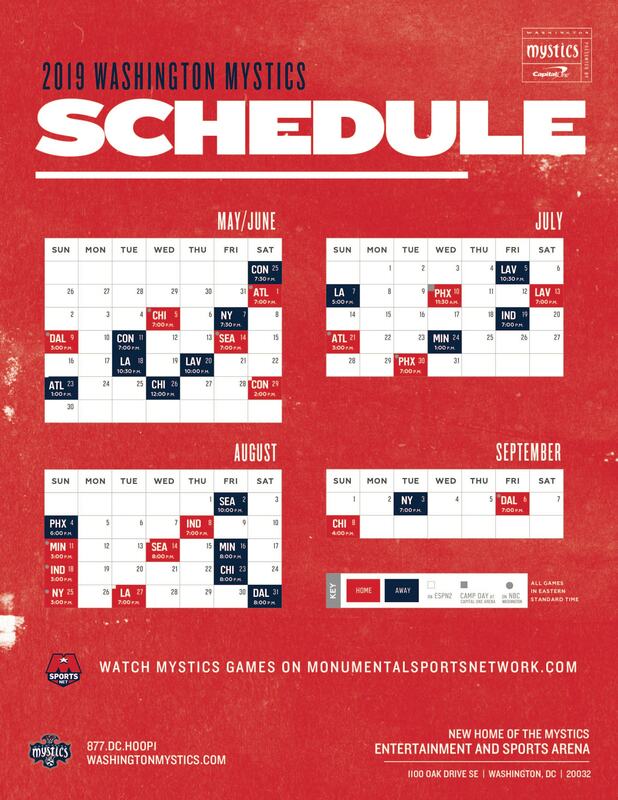 Frank Hanrahan returns for his fourth season as the TV play-by-play broadcaster for the Washington Mystics. A D.C. native, Frank is also the morning Sports Anchor for 106.7 The Fan and All News 99.1 WNEW. Frank also covers the Washington Wizards for csnwashington.com. Frank and his wife Dyani have a three-year old son, Harper A.J. Hanrahan. They live in Northeast, D.C. You can follow Frank on twitter @JFrankhanrahan.